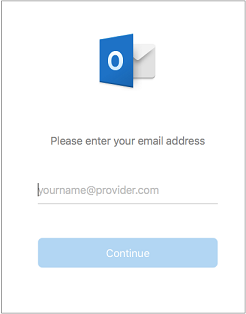 These instructions are for adding a Vicbar email account (Exchange) to Outlook 2016 for MacOS. It is assumed Outlook is already installed. If this is the first time using Outlook on your Mac you will be presented with the new account wizard, if so skip to step 3 otherwise continue to step 2. Click 'Done' to finish the account setup.